A Breakfast Cookie is one of my favorite things to make the night before and bring to work in the morning. 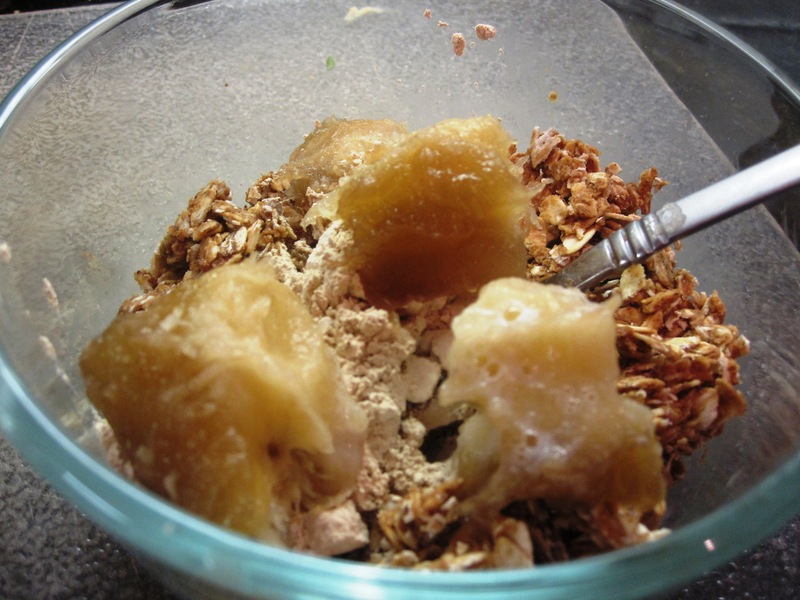 Created by The Fitnessista, it’s a recipe I kicked myself for not making sooner. My version doesn’t get firm enough to pick up and eat like a cookie – it’s more of a ooey gooey dough that you scoop with a spoon. 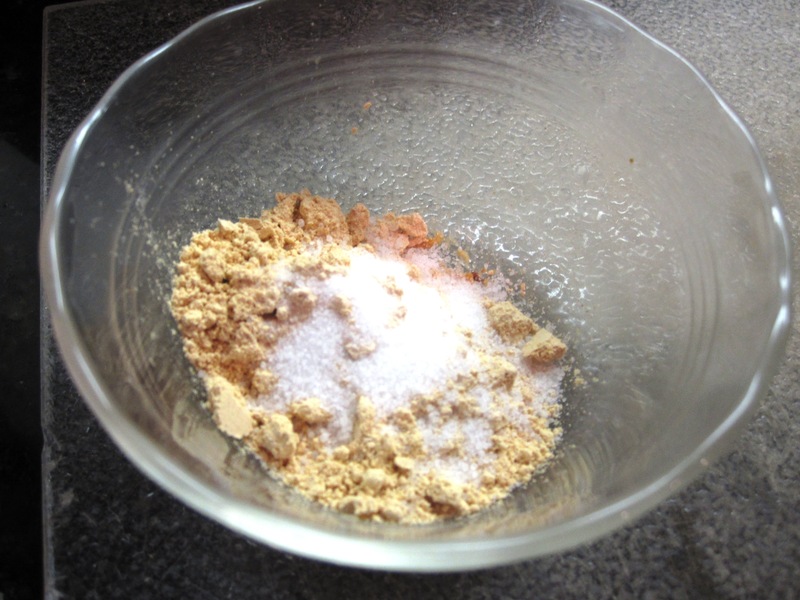 I’m sure if you played with the wet and dry ingredients you could create any texture you desire. 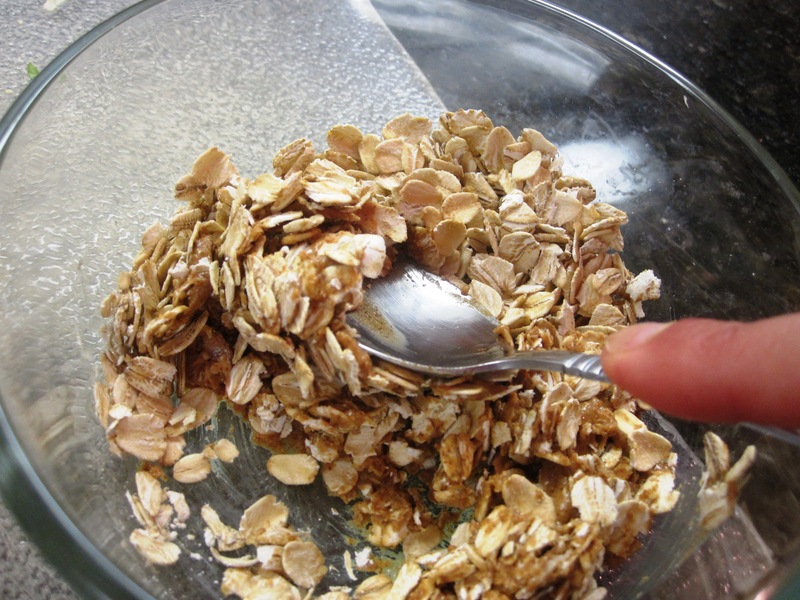 To begin, place raw oats in a mixing bowl and add one tablespoon of almond butter. 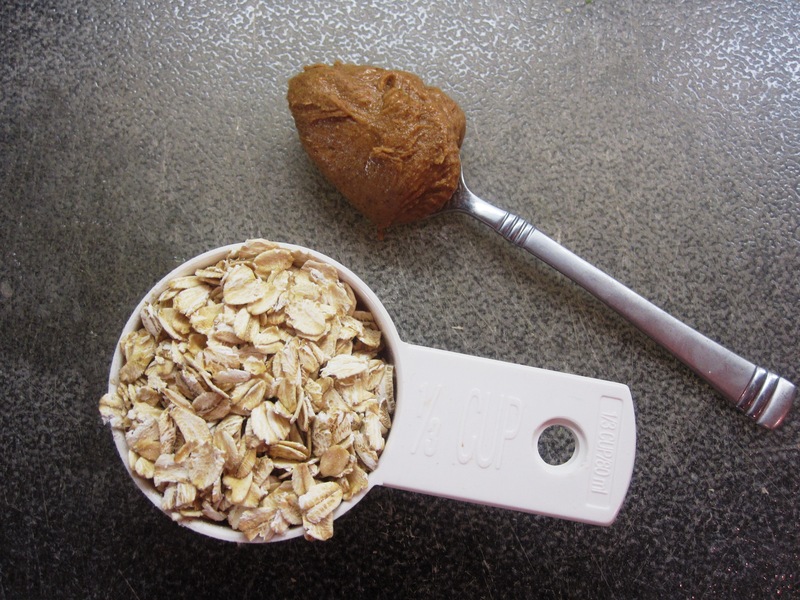 Use the back of your spoon to stir and mash the almond butter into the oats until it’s evenly incorporated. When it’s finished there should more no more clumps of almond butter. 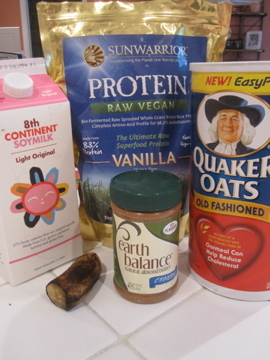 Next add 1T protein powder, 1/2 banana, and a splash of soymilk. Stir and mash with your spoon until a wet dough forms. Add more almond milk if necessary. Technically the breakfast cookie is finished at the point and can be placed in the fridge to chill (usually overnight). 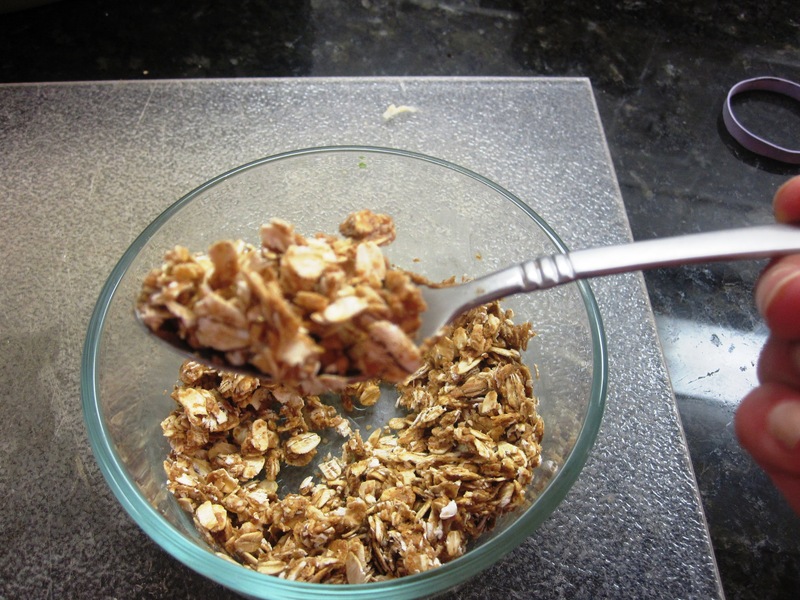 You can add any toppings like cinnamon, fruit, nuts, raisins etc. My favorite topping is peanut flour sauce! In a small bowl, combine 1T peanut flour (mine is still Trader Joe’s although you can order other brands online now that TJ’s discontinued it) with the stevia and salt. Add small amounts of water and stir until the sauce is the consistency you want. I probably end up adding about 1-2 Tablespoons. 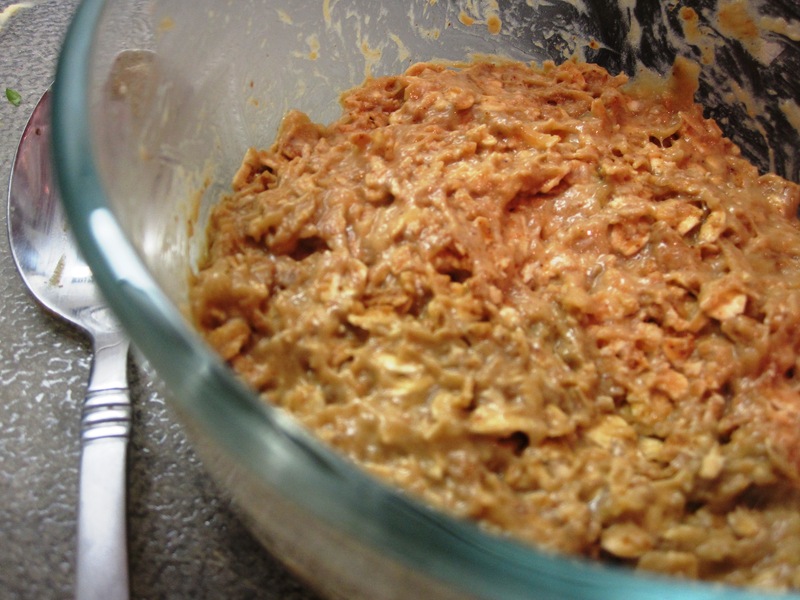 Now pour the sauce over the breakfast cookie and place it in the fridge to firm up. In the morning you can just grab and go! The first time I made this I was concerned that it wouldn’t fill me up. The ingredients are good, but I’m a volume eater and this doesn’t look like a lot of food. Well let me tell you, I make this cooking last a long time by savor each gooey sweet bite and it keeps me full for 3-4 hours, just as long as my oats or Greek yogurt breakfast do. It really is like having dessert in the morning! I love breakfast cookies! I top mine with Greek yogurt and fruit. The peanut sauce looks yummy though! Looks like it would be more cost effective than eating bars every morning like I do! I hate bananas though, and I’m assuming it needs it for the textured. What could you use instead? Yum! 🙂 I love breakfast cookies. 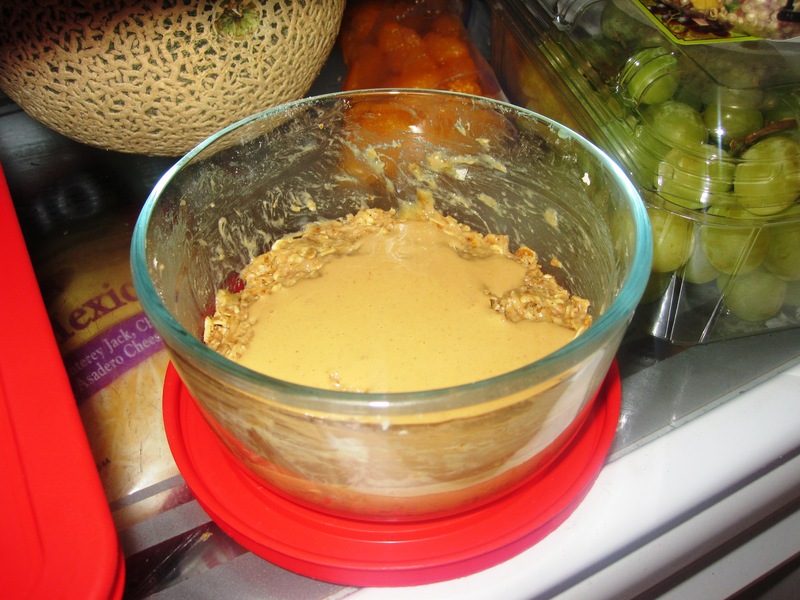 I was wondering if you knew if PB2 is similar to the peanut flour mixture you make? Breakfast cookies!!!! 🙂 Can’t wait to try this out! I remember the first time I had a breakfast cookie and how surprised I was at how full it made me. I didn’t expect it at ALL but I was pretty happy about that! 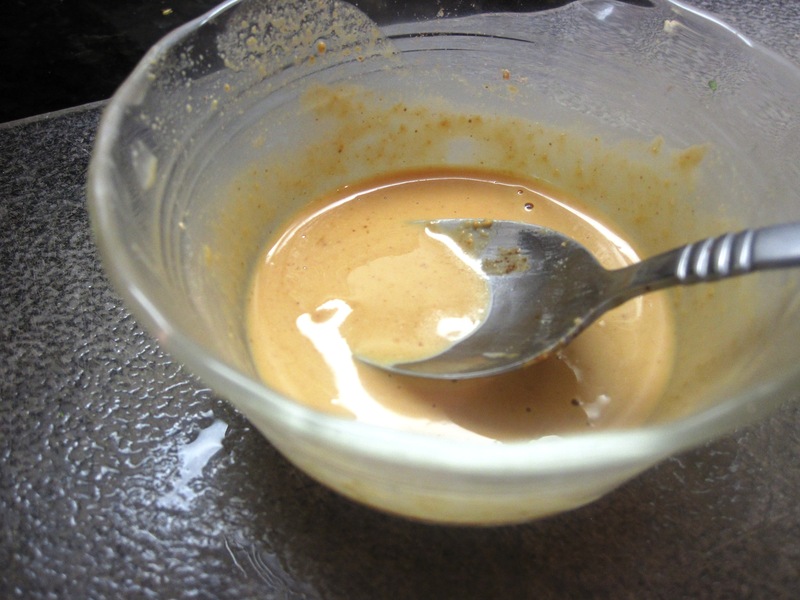 I love the idea of the peanut flour sauce, especially put on the night before so it kind of soaks in there. I think it’s about time I bring these back into my breakfast rotation. I love these! I love how dense and chewy they get after sitting overnight. 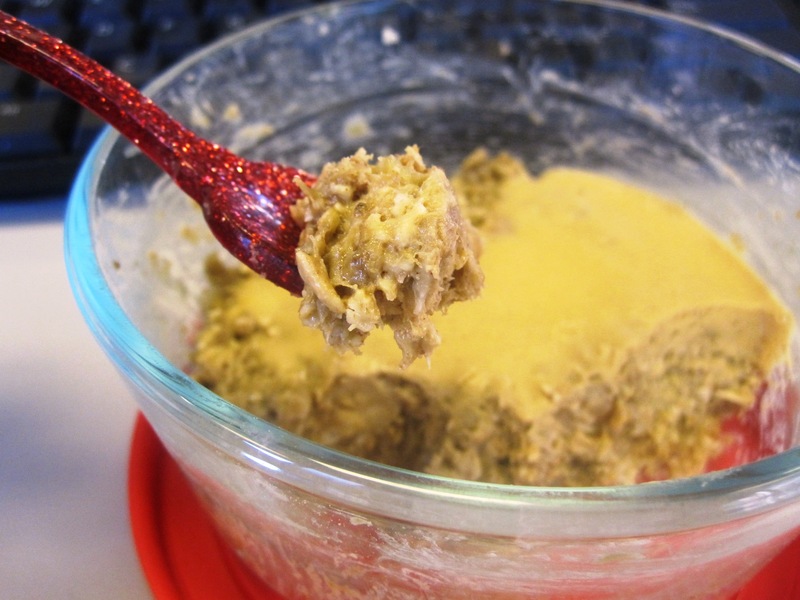 I like to put chia seeds in mine too, cause it absorbs almost all of the liquid and the cookie is so moist! It does seem to fill me up as much as any other breakfast surprisingly. i’ve never gotten into the whole bfast cookie thang! i’d much rather cook the oats have them get HUGE and then eat them haha. the bfast cookie is just to small for my liking! but now you’re totally making me one a heaping spoon of almond butter. ooooooon my way! Yumm breakfast cookies!! I throw mine in the freezer for about 15 minutes in the morning before I eat it to give it more of a cookie texture and consistency.